Primary care has come into the limelight with the passage of the Patient Protection and Affordable Care Act, the unchecked and unsustainable rise in American health care expenditures, and the crest of Baby Boomers who are now Medicare-eligible and entering the most health care–intensive period of their lives. 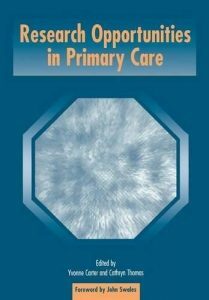 Yet how much is really known about primary care? What Matters in Medicine: Lessons from a Life in Primary Care is a look at the past, present, and future of general practice, which is not only the predecessor to the modern primary care movement, but its foundation. 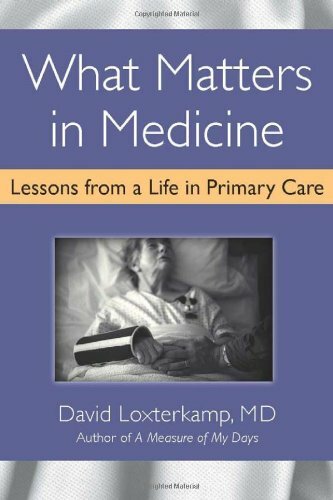 Through memoir and conversation, Dr. David Loxterkamp reflects on the heroes and role models who drew him to family medicine and on his many years in family practice in a rural Maine community, and provides a prescription for change in the way that doctors and patients approach their shared contract for good health and a happy life. This book will be useful to those on both sides of primary care, doctors and patients alike. The healthcare field is rapidly evolving, compelled by technological strides, pressure to increase efficiency, and demand to contain costs. 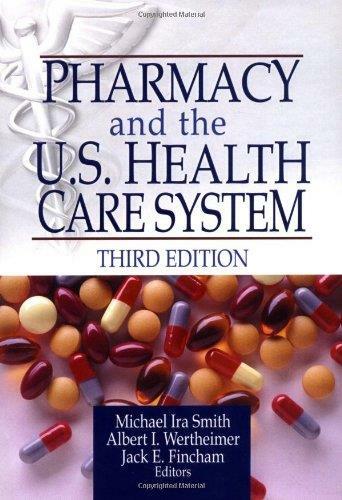 Pharmacy and the U.S. Health Care System, Third Edition is the classic text used to prepare pharmacists for independent practice in today’s unpredictable environment since the first edition was published in 1991. 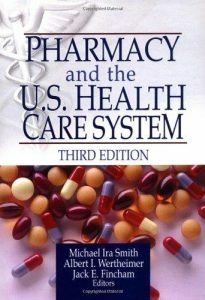 This new edition is now streamlined and tailored for a one-semester course, completely updated with the most recent data, statistics, and emerging issues relevant to today’s pharmacy professional, with new chapters devoted to the political realities of the industry and the future of pharmacy. “Why are there no effective treatments for my condition? 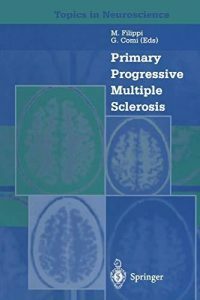 Why do researchers exclude patients with primary progressive multiple sclerosis from enrolling in clinical trials? Please let me know if you hear of studies that I might be allowed to enter or treatments that I could try for my condition. 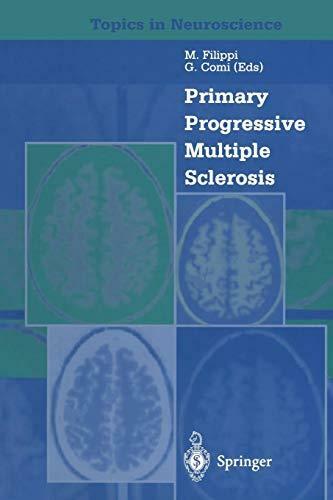 ” Thus, in recent years, the sad lament of the patient with primary progressive MS (PPMS). This variant, often in the guise of a chronic progressive myelopathy or, less commonly, progressive cerebellar or bulbar dysfunction, usually responds poorly to corticosteroids and rarely seems to benefit to a significant degree from intensive immunosuppressive treatments. In recent years, most randomized clin­ ical trials have excluded PPMS patients on two counts. Clinical worsening devel­ ops slowly in PPMS and may not be recognized during the course of a 2-or 3-year trial even in untreated control patients. This factor alone adds to the potential for a type 2 error or, at the very least, inflates the sample size and duration of the trial. In addition, there is mounting evidence that progressive axonal degeneration and neuronal loss (rather than active, recurrent inflammation) may be important components of the pathology in this form of the disease. Although contemporary trials are evaluating whether PPMS patients may benefit from treatment with the ~-interferons and glatiramer acetate, preliminary, uncontrolled clinical experi­ ence suggests that the results may not be dramatic. What Is The Future For A Primary Care Led Nhs? Primary Care Comments Off on What Is The Future For A Primary Care Led Nhs? Over 90% of contact between patients and doctors takes place in general practice, making it a valuable research arena, but many members of the primary care team are unaware of the opportunities for them to do research. 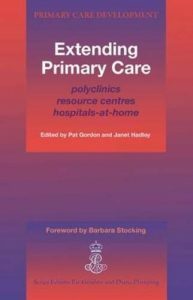 This book provides information on the research options for individuals and practices, and describes research work undertaken recently by GPs and their teams in a variety of practice settings. It is easy to read, and assumes no previous knowledge of the subject. 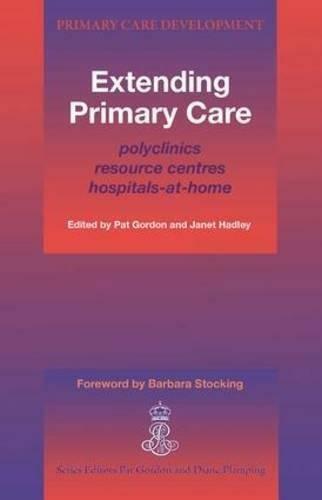 It is ideal for GPs and all members of the primary healthcare team, especially practice and community nurses, GP registrars and pharmacists. Research Opportunities in Primary Care covers everything from being part of a research network to undertaking a higher degree, and describes the impact of research involvement on the professional and the practice. Sections of each chapter are written by people actually doing research in this setting, to give a ”hands on” feel of what it means in practical terms. This new text creates a set of practical notes enhanced by specific examples of service-based activity. It complements Research Methods in Primary Care, which introduces the range of relevant skills to provide a solid basis for starting research. 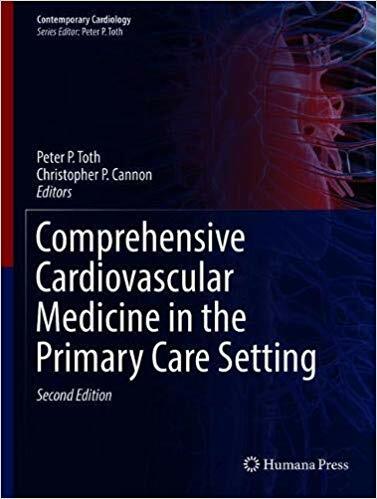 The thoroughly updated second edition of this key textbook provides an authoritative discussion of cardiovascular disease for the practicing primary care clinician. It examines a variety of disease states with emphasis on risk factors, risk estimation, and established cardiac disease. The book also explores the co-morbid conditions that surround cardiovascular disease. 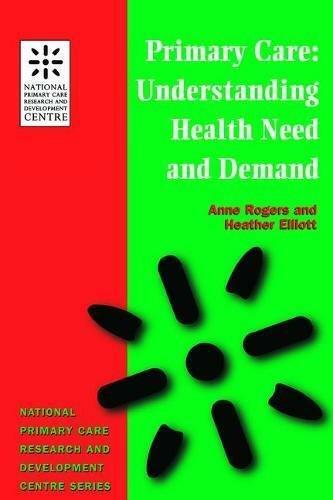 It includes key points, algorithms, case studies, recommendations on evidence-based practice, and summary boxes. 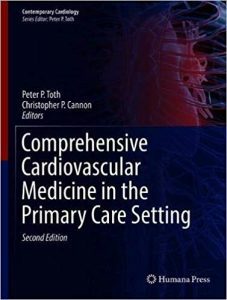 A key resource for the busy practitioner, the Second Edition of Comprehensive Cardiovascular Medicine in the Primary Care Setting is designed to give residents, fellows, and primary care physicians the skills to confidently perform assessments, initiate and maintain efficacious therapy, and know when a referral to a cardiologist is advisable. 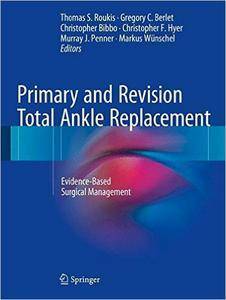 Bringing together the most up-to-date information on all aspects of primary and revision total ankle replacement (TAR), this definitive text focuses on TAR procedures and prostheses available for use in North America with additional “lessons learned” from the international community. 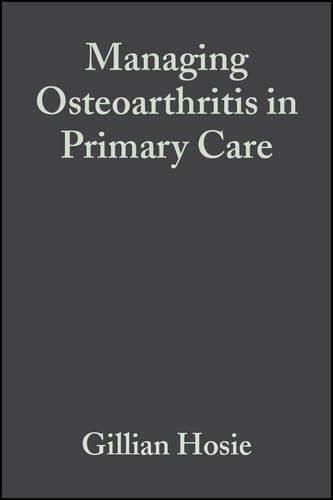 The text is evidence-based, includes bullet points for quick reference, and is heavy on step-by-step photographs during surgery. Accordingly, the chapter content over four main sections is a purposeful mix of theory, data, and tips/pearls with detailed photographs, tables, and references. 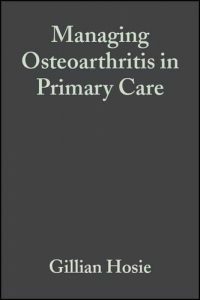 Section One provides an introduction to and history of TAR, including a discussion of fixed versus mobile bearings, TAR versus arthrodesis, and current indications and contraindications for primary TAR. Section Two focuses on primary TAR, covering a number of contemporary systems, such as INBONE, INFINITY, SALTO TALARIS and STAR. Secondary procedures with TAR comprise Section Three, including management of wound healing complications, soft tissue injuries, and varus and valgus malalignment. Section Four discusses revision TAR, covering topics such as infected replacements, component subsidence, and limb salvage as well as issues surrounding specific implant failures. Comprehensive yet practical, Primary and Revision Total Ankle Replacement will be the gold standard for books on this topic for many years to come and will provide invaluable instruction to orthopedic surgeons, podiatrists and foot and ankle clinicians worldwide.